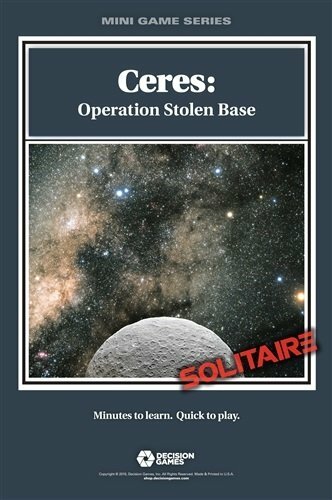 Ceres: Operation Stolen Base is a solitaire game depicting the actions of an elite Rebel task force attempting to seize the largest source of water in the Solar System shortly after the outbreak of the Free Mars Revolution. Your task force must defeat the Earth Federation ships in the area and seize the primary surface base. 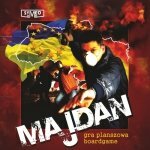 The opposition forces are controlled by the game system using a deck of cards whereby a card is drawn after the player moves a task force, which may result in a new opposing force being placed where the task force just moved and forcing combat to occur. Some locations are more likely to have larger opposition forces to appear than others and although initial opposition forces will be relatively small, resistance will increase as their alert level increases. 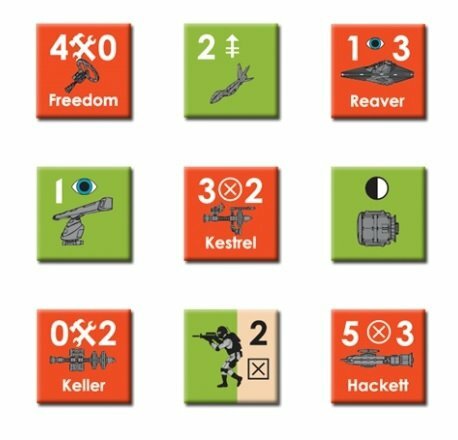 Players begin the game with a number of assembly points with which they can use to custom-build their fleet, including adding special weapon pods to ships to provide benefits such as drone defenses and cyber warfare abilities to keep enemy alert levels lower. If your fleet includes an assembly ship, you can even repair and alter your fleet even after your attack on Ceres begins. 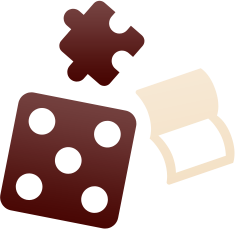 Four increasingly difficult missions must be completed to win the campaign game. Along the way, additional ships arrive and pods are constructed to increase strength and technological capabilities. 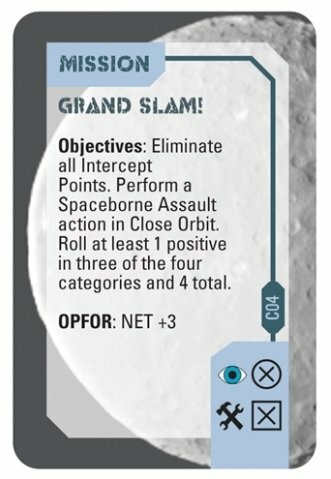 A unique card system counts down the time remaining and provides challenges and opportunities at every orbit. In this game the player takes command of a Rebel task force attempting to complete missions critical to securing the Ceres water base. 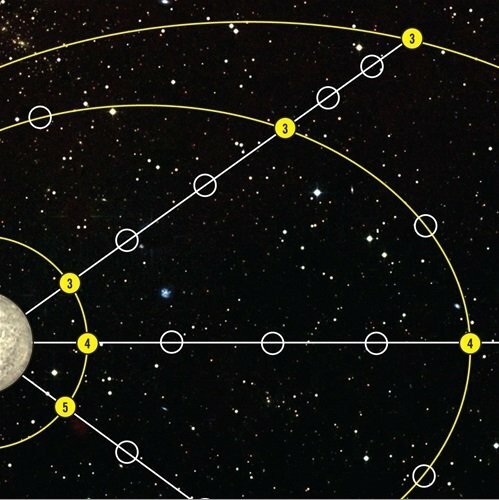 Your success will ensure Mars and other colonies have a major source of water for survival and the Earth Federation will be forced to haul water up the deep and costly gravity well from Earth.